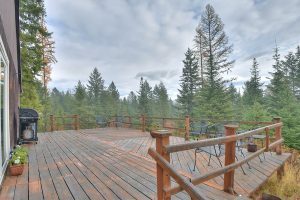 2059A Dry Creek Rd : Great Home; Amazing Views! 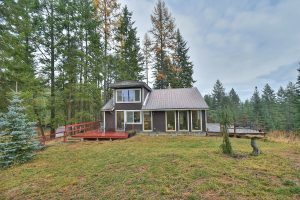 2059A Dry Creek – Hard to find smaller home on acreage with AMAZING views. Just over 8 acres. 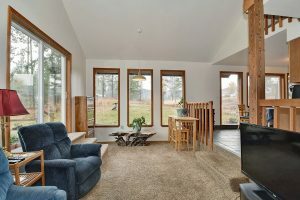 This two bed 1 bath home has it all. 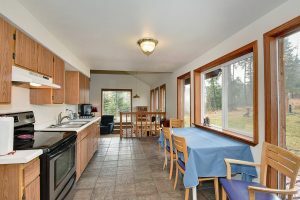 Large kitchen & dining space. Large living room. Two spacious bedrooms (One loft, one on main floor) and a full main floor bath. New well with easement to second hand-dug well on adjacent property. HUGE Deck overlooking the mountains. Property is treed with a seasonal creek running through it. Lots of wildlife everywhere. This home is located in Chewelah part of the Chewelah School District.